West of Lochcarron at Loch Kishorn, a side road leaves the A896 and heads to Applecross. There are many scenic routes in the Highlands but this one beats them all. 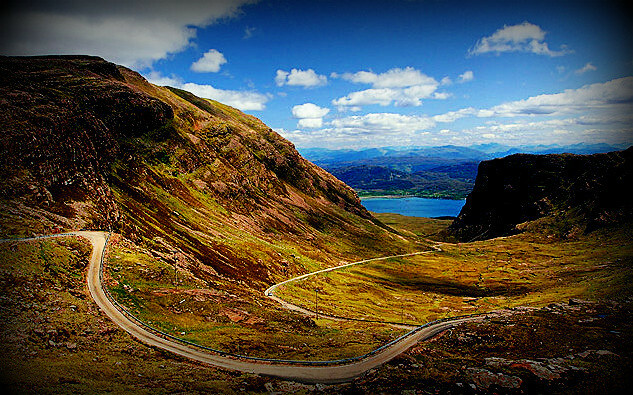 The Bealach na Ba ('Pass of the Cattle') is the highest road in Scotland and is often closed during the winter snows. It climbs relentlessly and dramatically through a series of tortuous switchbacks - both spectacular and terrifying in equal measure. The high plateau, at 2,053 ft, is cold and desolate, but from here you have the most stunning views: from Ardnamurchan Peninsula to Loch Torridon, taking in Eigg, Rùm, the Cuillins of Skye, the Old Man of Storr and the Quirang. The narrow, single-track road then begins its gradual descent to the isolated little village of Applecross, site of one Scotland's first Christian monasteries, founded in 673 AD. The village consists of a row of whitewashed fishermen's cottages looking across to the island of Raasay and backed by wooded slopes. It's a beautifully tranquil place where you can explore beaches and rock pools or enjoy a stroll along sylvan lanes - see Applecross walks for details. 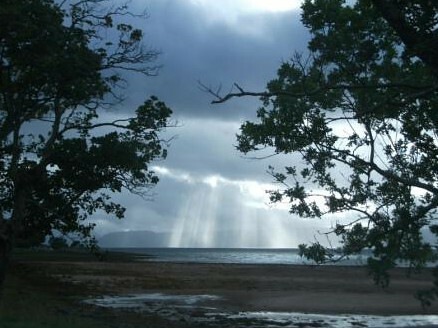 Applecross, the name of which is a corruption of Apor Crossan (mouth of the river Crossan) is one of the earliest Christian communities in Scotland. In the year 671, an Irish monk named Maelrubha, from the same monastic background as Columba, arrived on the south western shore of the Applecross Peninsula and two years later, established a monastery. An area of 6 square miles around the monastery was declared a sanctuary. On the site of the monastery, there now stands Clachan Church. In 1850 nearly 3,000 people lived in the scattered townships of the peninsula. Now there are less than 300. The clearances were responsible for much of the depopulation, but lack of local opportunities and work also contributed. The remains of previously thriving settlements can be seen in many areas. 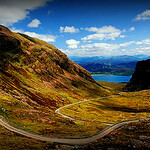 Until 1976, the only road access to Applecross was by the famous Bealach na Ba (Pass of the Cattle), and the only access to many areas of the peninsula was either by footpath, bridle path or sea. Along the coast of the Peninsula internal lighting was by paraffin lamp until electricity was finally introduced after the coast road was built. 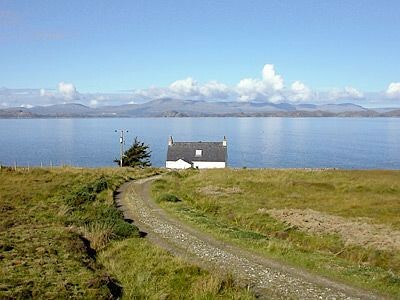 Even today, there are a few remote cottages on the Peninsula where access is still only by foot or by sea. Applecross bay is one of the largest sandy inlets in the Western Highlands and is ideal for sailing, boating and sail boarding. Kayaking can also be organised locally. The award winning Applecross Inn offers excellent local seafood as does The Potting Shed Cafe in the Walled Garden of Applecross House. There is a village store, post office and filling station. Fresh shellfish and croft grown vegetables can be purchased locally. Wildlife abounds and includes pine martens, otters and red deer. Many varieties of bird life inhabit the peninsula and, for the lucky, and observant, the Golden Eagle may be seen. Porpoises and occasionally whales can be seen in the Inner Sound. The scenic beauty of sea and mountains combined is arguably unmatched anywhere in Scotland. The views across the Inner Sound, where the water is influenced by the Gulf Stream, are spectacular - the rugged profile of the Cuillins of Skye, Raasay, Rona and the islands of the Outer Hebrides providing a magnificent panorama. 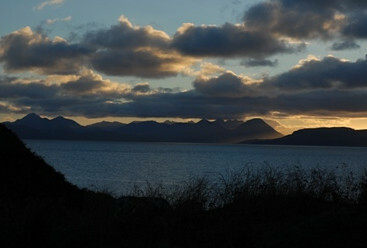 The north coast of the peninsula gives views over Loch Torridon, where many scenes from the film 'Loch Ness' were filmed, towards the Torridon mountains. Applecross has a rich built heritage, but Clachan Church is considered by many as the iconic building of the area The present church was built in 1817 on the site of an earlier parish church, and belongs to the Applecross Trust. Much of the significance of the church relates to its position within the Scheduled Area of Applecross’ monastic settlement which is classified as being of national or international significance. In 2005, the Channel 4 “Time Team” show visited Applecross and carried out an investigation on a structure thought to be an Iron Age Broch (a thick-walled, dry stone tower of circular ground plan). 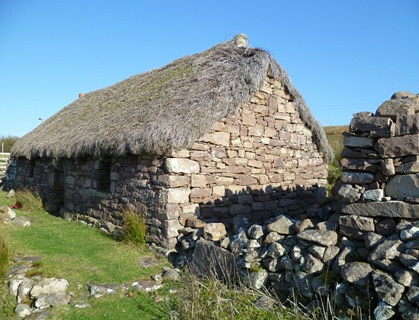 As a result of local interest in the site, the Applecross Archaeological Society was formed and, from 2006-2009, a community archaeology project was undertaken to excavate the broch. Annual digs (manned by professionals, members of the North of Scotland Archaeological Society and a team of local community volunteers) have taken place each year (with two excavations in 2007), with the final quadrant excavated in September 2009. Details of the monument record for the broch, a summary of excavations and associated reports are available from the Historic Environment Record. This project involves the restoration of a historically important lime kiln near Keppoch House. The limekiln is part of a small industrial complex consisting of the kiln, a store or cart shed, access road and quarry, all located to the east and south of a small stream. Built in the 1870s, it was last used in the 1930s for the production of quick lime. The limekiln forms part of the agricultural history of the area. The geology which underpinned the establishment of the kiln would also form part of the interpretation about the site. This project makes provision for interpretation at Lonbain township. Lonbain is an old crofting settlement located approx. 7 miles north of Applecross Bay. It was a linear settlement for which old estate maps can provide much information about changes in rural settlement patterns over time. Before the road was completed in the 1960s Lonbain was an isolated area. Lonbain Thatched Cottage is the sole remaining thatched cottage in the township and has recently been purchased by National Trust for Scotland, who have commissioned a Conservation Plan for the cottage as part of their plans to conserve and consolidate the site. 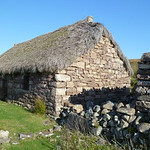 The Hebridean Barns (located next to the Broch and campsite) are a unique resource. Hebridean ventilated barns of this type are to be found only in the Wester Ross parishes of Applecross, Gairloch and Loch Broom and are becoming increasingly rare. Historic Scotland have indicated that the sites may be of national significance. The historic walled garden is being restored from what was previously a wilderness. Work is ongoing to repair the walls and there is a project planning to restore the glasshouses and coldframes. Don't miss The Potting Shed at the Walled Garden and make sure you see how their restoration project is coming on. The Applecross Inn is award winning and not to be missed either. Just before Applecross is a bakery with a poly-tunnel sheltered restaurant which serves good cheap light meals. It's possible to reach Applecross by public transport, but only just. A Postbus service leaves Strathcarron train station daily (except Sun) at 0955, arriving in Shieldaig at 1040. Another Postbus then leaves Shieldaig at 1130 and arrives in Applecross at 1300, via the beautiful and winding coast road. No buses run over the Bealach na Ba. A Postbus leaves Applecross at 0915 and arrives in Shieldaig at 1010. 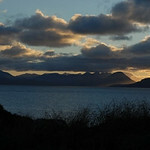 It continues to Torridon (see below) and arrives at 1030. Another Postbus leaves Shieldaig at 1045 and arrives at Strathcarron train station at 1130. There are train connections from Strathcarron to Inverness and Kyle (for times Tel. 08457-484950). 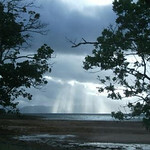 There are a number of tours that also visit Applecross. see our tours section. The reason many people make the long detour is to savour the delights of the venerable Applecross Inn, Tel. 744262. There are, sadly, too few authentic Highland hostelries where you could quite happily while away a few hours, or even an entire afternoon, but if you have to be holed up somewhere to escape the rotten weather, then this place is as good as any and better than most. The welcome is warm, the crack is good and the seafood is so fresh you can almost see it swimming past as you order (try a half pint of prawns for a fiver or scallops for £7.50). Bar food served 1200-2100, children welcome till 2030, ceilidhs on Fri evening. The rooms upstairs are nothing fancy, but comfortable, with sea views. If there's no room at the Inn there are a few B&Bs a mile to the south in the village of Camusteel: Mrs Cross, 'Seawinds', Tel. 744373; Mrs Thompson, 'Raon-Mor', Tel. 744260, open Apr-Oct.